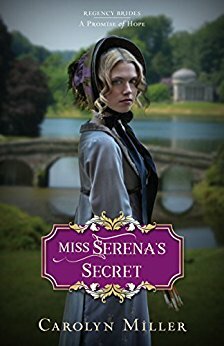 Miss Serena’s Secret by Carolyn Miller is a complex novel set in Regency England. Secrets abound and are being kept by more than just Serena Winthrop. Some distressing subjects are handled artfully by the author. In this time period such things were not discussed in genteel circles. Social customs of politeness sometimes kept accurate information and sincere feelings from being conveyed. Therefore misunderstandings would hamper friendships or romances. Carolyn captures the flavor of the period. The descriptions and the conversations are spot on! The faith of Miss Serena Winthrop is evident from the beginning. And we see the journey of Henry, Lord Carmichael, develop over the course of the novel. Henry has a lot to overcome and now takes his responsibilities seriously. They both have the support of friends and some family members, especially Henry’s grandmother who spurs Serena toward painting once again. I was happy to see characters from previous books make an appearance. And there is a promise of familiar faces popping up in future works. Carolyn Miller is a favorite author. I would recommend this and all her books to those who are partial to Regency England fiction. Come find out what secrets are hiding! This second novel in a new series by internationally popular author Carolyn Miller is full of the rich historical detail and evocative writing her readers enjoy, and familiar characters make appearances here. The witty banter will continue to draw in fans of Jane Austen, Sarah Ladd, and Julie Klassen. rances here. The witty banter will continue to draw in fans of Jane Austen, Sarah Ladd, and Julie Klassen. Carolyn Miller is a favorite author of mine too. I have Miss Serena’s Secret sitting on my reading table waiting for me get too, hopefully soon. Thanks for visiting Tina! I'm so glad Carolyn chose this era. Love it! 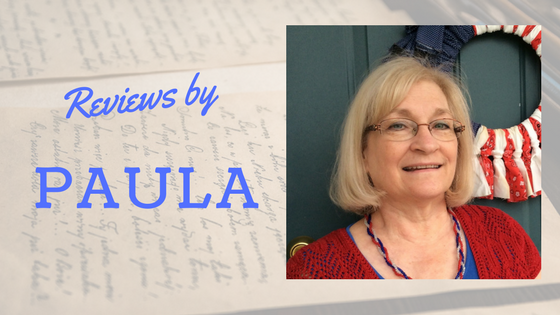 Thanks for a wonderful review, Paula! I actually have the first one on my digital TBR where books can really hide and be stacked to the sky. I'm hoping to get more reading done this winter. Thanks so much Paula for your kind words! I’m so glad you enjoyed Miss Serena’s Secret! Thanks for stopping in, Carolyn. We wish you much more success!